Will your family live on base or in off base housing? There are so many factors to consider when determining where to live. While some families won't have a choice due to assigned base housing for certain duty positions, for others, the same six subjects seem to repeatedly enter the pro/con discussion of families trying to decide. One or two of these typically make or break the decision to join other families in their very own gated community. Here's my roundup of reasons to live on post or find a home in the civilian world. The housing companies handling the transitions have it down to a science--easy in, easy out. When the paperwork is signed, the keys are handed over. Since the privatization of military housing, the likelihood your assigned house will be relatively new or remodeled is high. Green or energy-efficient features will have been added and utilities costs will be less expensive. Maintenance requests tend to move quickly without the middleman a land lord might use. Families inherit a blank slate inside. The house is inspected and hopefully furnished with new, neutral paint and cleaned carpets. No worries of yard work on the weekends; it’s probably done for you. Potentially little to no commute. 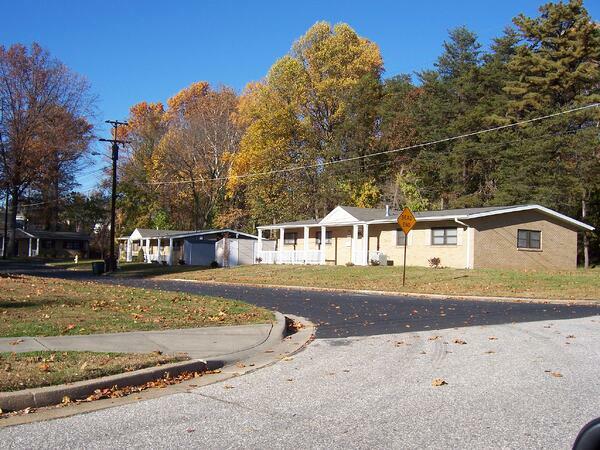 Each base has a different company running the housing program. Details on how assignments are made, wait list times, and other policies will vary. Wait lists may exceed six months or even have secondary wait lists attached to the primary one. Housing companies are businesses, which have to be profitable to survive, meaning it’s not unlikely for them to offer less than stellar accommodations. One of our homes was pulled from the condemned list and opened just for us. Luckily, it was temporary. It’s difficult to watch families jump ahead of you on wait/promotion lists while you both pay the same BAH, and they get a nicer home. Assignment techniques tend to be very “grey,” accounting for a variety of exceptions to the rule. Base housing has a “look” unique to military living: very similar to each other, lacking individuality and charm. Yard spaces tend to be small and/or communal. Some styles of homes share walls, allowing for sound to pass through. We had a neighbor kid who practiced the drums. Every day. Across the board, most people will tell you neighbors are one of the top reasons to live on base. Families bond quickly, especially if a large unit is deployed. We've made friends for life living on post. Kids play with anyone around and grow up together experiencing things like evening retreat or walking to the commissary for popsicles. Fourth of July block parties! Because your neighborhood is so close to the parade ground, the fireworks are visible from your driveway. Commiserating about quality of life issues with people who understand exactly what you mean is a perk hard to come by anywhere else. Even if you aren’t close to your neighbors, you can depend on assistance with the small things like a trash can return or help with a package delivery. Intentional and unintentional nosiness is an unavoidable issue. Homes are so close to each other that everyone’s daily routines become public knowledge, even the contents of your recycling bin! Not everyone loves their pets like you do and might not keep them in the same quality condition you would. This is a hard rule for housing to enforce because of variations in policy and the lack of resources, such as animal control, on base. Parking and lack of parking spaces can be an issue, especially when visitors arrive or a large event is planned. Expect communal mail boxes, playgrounds that may be run down, and families who let their children have more freedom than you provide your kids. It’s a great convenience to have an allotment manage a predictable deduction for payment each month, especially if you head home after a spouse deploys. Knowing BAH fluctuations makes financial planning easier. On base housing offers many versions of savings. Gas, groceries, and utilities are cheaper. Federal budget cuts in military pays are forcing housing companies to find ways to make up the difference in fees and other payments. Although utility payments remain low, they are becoming more expensive as the methods for charging families change. Military neighborhoods are technically gated communities, and most people who aren’t supposed to be there are not, avoiding a lot of the random public. Your neighbors will notice and report anything that looks odd or different. Remember, everyone knows everyone else’s routine. I like that military police ticket in residential neighborhoods, help with runaway dogs, and keep an eye on your house while on vacation. Many military families depart for extended block leave and deployments. The absence becomes obvious and your home turns into a target for break-ins. The overall secure feeling of living on base has some families allowing their children to roam inappropriately. It’s difficult for legitimate service providers (rug cleaners, veterinarians) to have access to the neighborhood without proper identification and car checks. The same holds true for friends and family hoping to visit. There is something to be said about the quick walk to the Shoppette for milk or a cheap lunch at the Exchange just to get the kids out of the house for a while. Churches, libraries, community pools, and bowling alleys are so easy to use and do not have travel time or traffic. Base events are always occurring. Concerts, lectures, clubs, festivals, and loads of kids’ events keep everyone entertained. Everyone loves free, so major events are always bursting with people and have long lines. Private housing neighborhood clubhouses are misused and sometimes abused by children without supervision. Military sponsored events are open to all ID holders, but those living off base tend not to make the effort to come back to use the facilities. Many school aged children are able to walk to school. Administration is very aware of the challenges military children endure. They have knowledge of many more resources for managing those issues than a typical public school. The kids in your neighborhood will likely be the ones your kids are in school with and that could be problematic if there are any issues. Each base is scholastically governed by different entities. Some bases have U.S. Department of Defense Education Activity leadership and others are under the local public school jurisdiction. It’s difficult to make assumptions as to the quality of education from either, because each location is drastically different educationally.